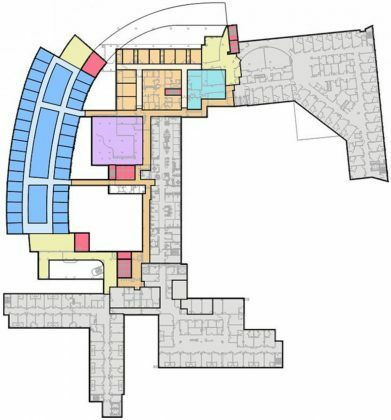 As one of northeast Georgia’s largest health care systems, Piedmont Athens Regional Medical Center required re-positioning of its facilities to accommodate market growth, healthcare reform and population healthcare management. 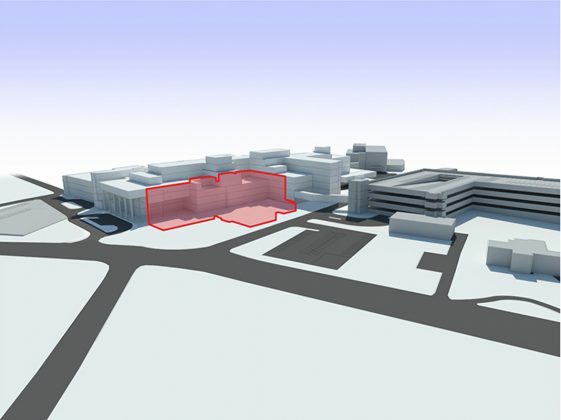 Trinity, in association with Navigant Consulting, Inc., performed a market demand analysis, operational analysis, facility assessment and parking assessment at the 360-bed, 900,000 sf acute care hospital and regional referral-center serving a 17-county area. 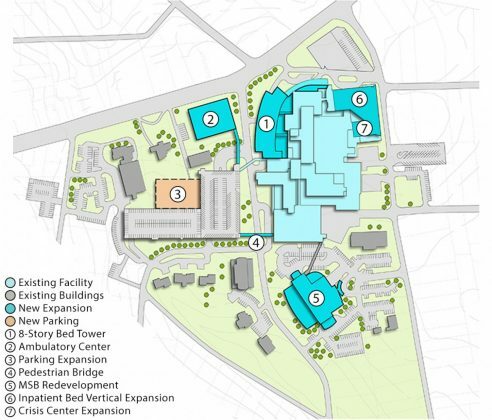 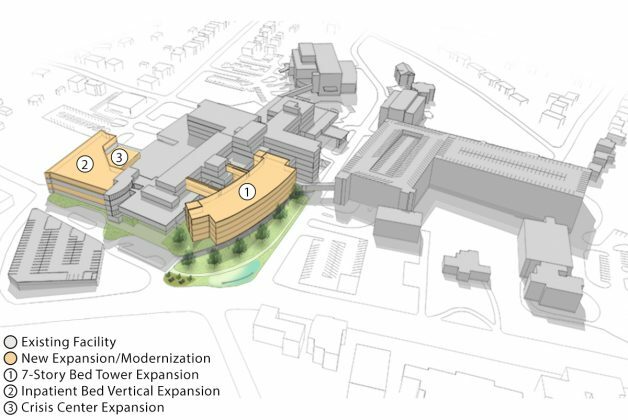 The phased strategic master plan identified $260 million projects composed of 290,000 sf of expansion including a bed tower vertical expansion, new center of excellence and 256,000 sf of modernization. 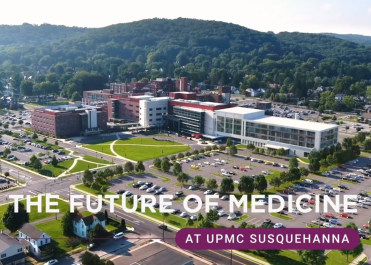 It also includes a 75,000 sf marquee ambulatory wellness destination campus that allows for development of services over a 6-year period, e.g., a cancer center, heart and vascular, orthopedics/sports medicine, digestive diseases and neurosciences. 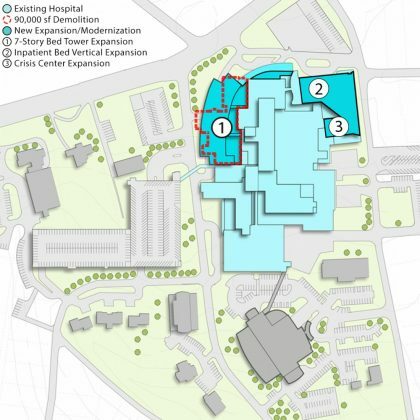 Trinity, partnering with SmithGroupJJR, is designing the Phase I, $156 million facility implementation to transform Piedmont Athens Regional Medical Center into the vision created in the master plan. 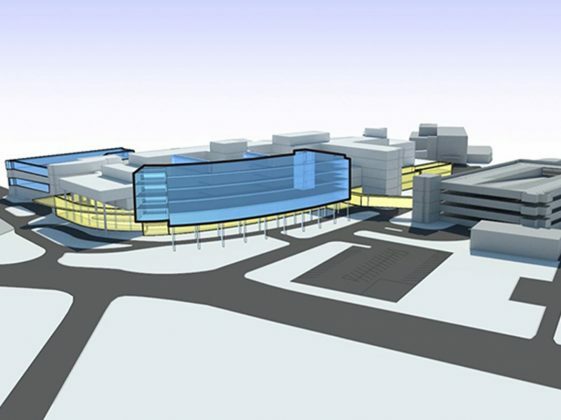 The program establishes a new campus gateway that promotes a first impression sense of arrival with improved vehicular circulation and patient and visitor wayfinding; a 1-story vertical expansion of 30-35 inpatient beds on top of an existing nursing unit; a 24,000 sf modernization and vertical expansion to create a rapid admission unit, chest pain unit, and crisis center; demolition of 90,000 sf of aged facilities; a modern 7-story bed tower expansion that replaces a 1960s bed tower and includes a new 2-story visitor concourse with public amenities, patient intake, clinical support functions and 4-stories of acuity adaptable inpatient beds. 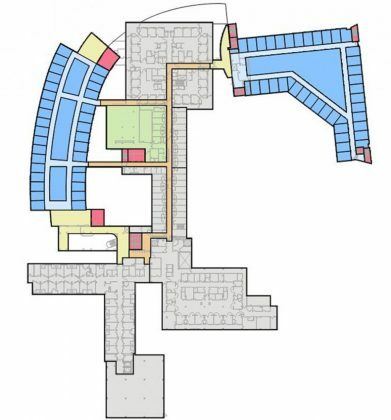 Completion is August 2022.